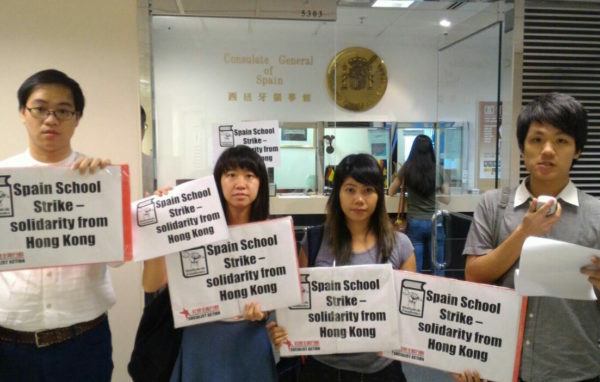 Socialist Action (CWI) members were attacked at the Spanish consulate in Hong Kong on Monday 24 October while protesting peacefully in solidarity with Wednesday’s (26 October) nationwide school strike in Spain. The strike was called by Sindicato de Estudiantes, with significant support from parents’ and education workers’ organisations. It is called to protest the elitist and undemocratic education reforms of the right-wing Spanish government. 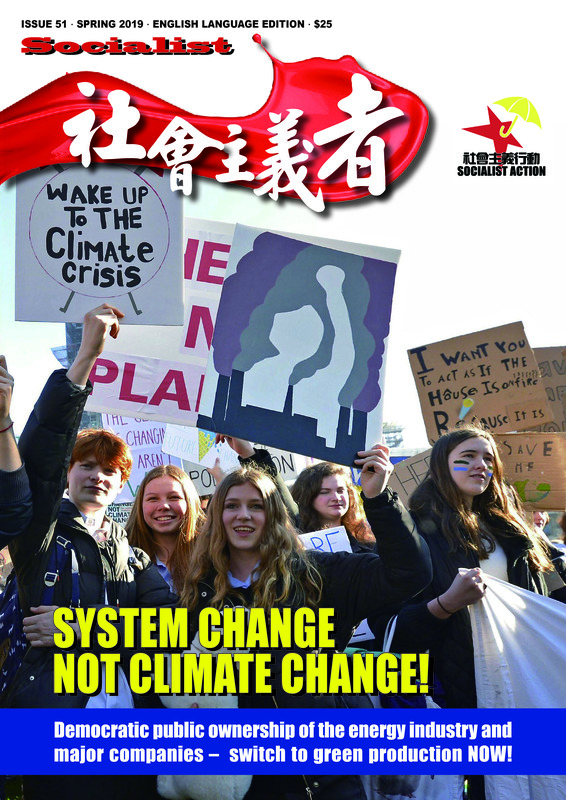 Hong Kong protest in support of Spanish School Strike. Two of the Hong Kong protesters were assaulted and had their mobile phones confiscated. This seems to have been an attempt to delete photos of the protest. Video film from the incident shows an aggressive Santiago Martinez-Caro, Spain’s Consul General, pushing protesters towards the exit. Martinez-Caro is described as Hong Kong’s first “billionaire Consul General”. Support the Spanish general student strike on 26 October! Police intervened to get back the stolen mobile phones. League of Social Democrats (LSD) legislator ‘Long Hair’ Leung Kwok-hung also arrived at the consulate to show his support for the protest. He described the action by consulate officials as an “outrageous” attack on the right to protest. One protester had to go to hospital for an arm injury suffered in the attack. “Clearly, the Spanish government’s representatives are very uneasy about Wednesday’s school strike and international attention. 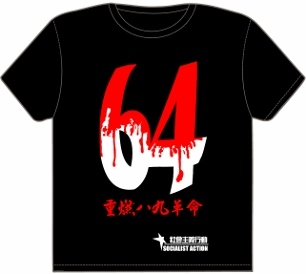 The violent response by the Hong Kong consulate officials is unprecedented – there are dozens of protests every day in Hong Kong and rarely anything like this happens!” said Sally Tang Mei-ching of Socialist Action. “We have filed a police complaint against the consulate and are discussing to call a new protest against the violence,” she said. 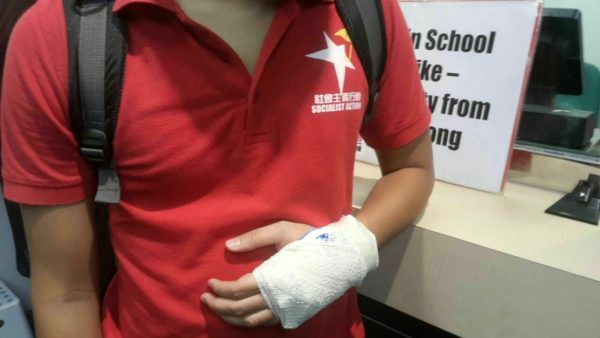 One protester suffered an injury to his hand after the attack at the Spanish Consulate.